HUSSON (ARG) (Chestnut 2003-Stud 2007). 5 wins to 1600m, San Isidro G.P. Raul y Raul E Chevalier, Gr.1. Sire of 383 rnrs, 241 wnrs, 14 SW, inc. Lucky Hussler (MVRC William Reid S., Gr.1), Frolic, Moral Victory, Russon, Sabat Husson, Boganaire - Obrigado Mais (Mac. ), Lady Hussy, Nothingilikemore, Husson Eagle, Raido, The Huntress, Affable, Hussousa, Peron, SP Looks Like the Cat, Miss Husson, Sister Souss, Ferment, Hi Son, Private Secretary, etc. Ollein Blaze (g. by Niello). 3 wins at 1200m in Aust. Captain Hughes (g. by Henny Hughes). Winner at 1300m in Aust. Treecat Magic (f. by Magic Albert). Winner at 1650m in Aust. Evil Master (Zabeel). 8 wins from 1200m to 2400m, A$316,200, MRC Yalumba Masters H., Highland H., VRC Tooheys Old H., MRC Samson H., Chatham H., MVRC Carlton Draught H., 2d MRC Naturalism S., L, Heatherlie H., L, MVRC JRA Cup, L, MRC Don McKenzie H., Gaine Carrington H., Trudy Birchall H., MVRC Geoff Torney Cup, VRC Hahn Premium Light H., 3d MRC Superior People Recruitment Agency H., VRC Banjo Paterson H.
Ayeford (Shalford). Placed at 2, 3d ARC Welcome S., L.Died at 2. Lucky Lucky. Winner at 1200m, HKJC Tsing Yi H., 2d HKJC Massey University H., Pak Tin H., Li Yuen H., Bank Street H., Cheung Sha H., 3d HKJC Kingston H.
Mr Qigong. 6 wins-1 at 2-from 1100m to 1600m, 2d MRC Newminister 2YO H., Soorak 2YO H., 3d MRC FE Elbeshausen 2YO H.
Kasbah Keeper. 2 wins at 2000m, 2d Otago RC Speights Publicans P.
Moneypenny. Winner at 1200m in NZ. Triumphant Way. Placed, 2d HKJC Audemars Piguet Millenary H., 3d HKJC My Choice H.
LORDSHIP (Red Lord). 4 wins-1 at 2-from 1000m to 2400m, Sydney Turf Club Cup, Gr.2, VATC Norman Robinson S., L, AJC Grand Fils H., 2d VRC Tetley Tea Bag S.H., L, 3d AJC Frank Packer P., Gr.2, STC Rosehill Cup, L, 4th AJC St Leger, Gr.2, QTC Fourex H., L.
BEGUILED (Sovereign Edition). 5 wins from 1800m to 2450m, SAJC West End Export S.H., Gr.3, Voivodich Jewellers H., Woodham Biggs H., Churchill Downs H., Graduation S., 3d SAJC Rain Lover P., Gr.3. Mind the Step. 6 wins-1 at 2-to 1300m, A$175,270, AJC Garden Gates H., STC Peppers Hunter Valley H., 2d AJC Sydney City Lexus 2YO H., Bye Kenny on TVN H., 3d NSW Tatt's RC Bigpond Sport H., STC Woodlands Stud P., St Marys Leagues Club H.
Tuchuzy. Winner at 2, STC De Bortoli Wines 2YO H. Producer. Concitare (Flying Spur). 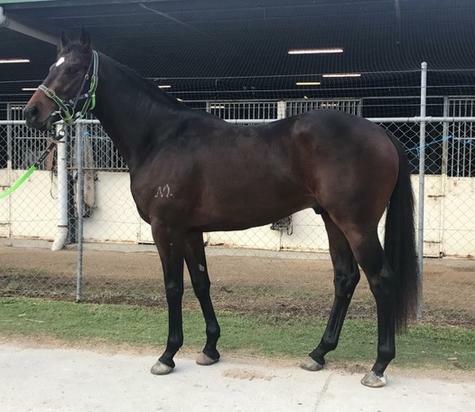 12 wins from 1400m to 2300m, A$183,375, Coffs Harbour Cup, BTC Go the Brisbane Lions H., Inghams H., James Reyne H., QTC Do You Remember H., 2d QTC Easter Cup, L.
Diamond Dancer. 3 wins at 1800m, R194,125, to 2017-18, 2d Turffontein Tellytrack.com Novice H.
Nine Wives. 4 wins from 1600m to 2500m, A$78,260, MVRC Night Racing Stayers Challenge H., 2d MVRC FCM Travel H., VRC Piping Lane H., 3d MRC Yangtze H.
Kilkenny Dancer. 3 wins to 1100m, 3d SAJC Keno H.
El Duende (Oats). 3 wins in Spain, 3d Madrid Premio Velayos, L.
Jupiter (Oats). Placed in Spain, 2d Madrid Premio SAR El Principe de Asturias, L, 3d Madrid Copa de SM El Rey, L.
Silver Ruler. 6 wins from 7f to 2½m, Newmarket Dalham H.
Nantucket. 5 wins-1 at 2-from 5f to 1m, Sandown Athens Wood H. Sire.